In the United States, studies of windrow and aerated static pile composting were conducted in the mid-1970s in Beltsville, Maryland, and in Carson, California. As of 2003, there were more than 200 wastewater sludge composting facilities in the United States. Most of the composting facilities are aerated static pile systems, and some are in-vessel systems. Windrow composting is rarely used because of the potential odor generation and the large area requirement. The city of Eustis, Florida, uses the windrow process for composting aerobically digested sludge. The dewatered sludge cake of 12 to 14% solids mixed with wood chips at the ratio of 1 : 2 by volume is formed into windrow piles by a front-end loader on paved surface. 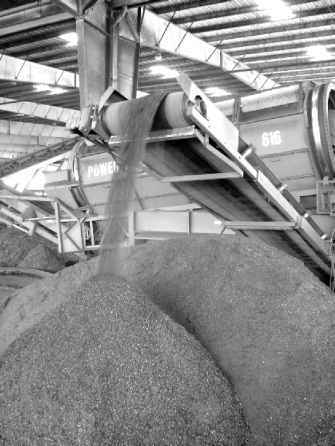 The pile is mixed using a windrow machine every day for three to five days until the temperature reaches 55°C. The temperature is maintained between 55 and 65°C for 15 days, during which time the pile is turned about five times. The composting process takes about three weeks. The compost is then moved to a curing area and cured for three months. The compost is turned once every month during the curing process. 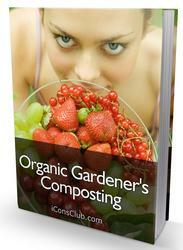 The cured compost meets the class A requirements and is sold to distributors. The city of Austin, Texas, uses the windrow process for composting anaerobically digested sludge. The dewatered sludge cake of 15 to 25% solids is mixed with bulking agents, including yard waste, for composting. The compost is sold to the general public through registered vendors for use as a soil conditioner for residential lawns and flower gardens. Figure 7.21 View of compost pile and aeration system. experienced several problems during the operation. RCID conducted a cost analysis of three in-vessel systems and the aerated static pile system. Based on the analysis, the aerated static pile system was found to be the most cost-effective. The wastewater treatment plants in Bristol, Tennessee, and Bristol, Virginia, have a shared in-vessel composting facility (Clifton et al., 1997). The combined raw primary and waste activated sludge at an average 4% solids is mixed with sawdust at the ratio 1 : 1 by volume and is dewatered with a cationic polymer in belt filter presses to 35% dry solids. There are two enclosed in-vessel units of 1400 m3 each, one for the bioreaction process and the other for the curing. The dewatered mixture of sludge and sawdust from the storage silo is transferred by a conveyor to the top of the bioreactor, where a rotating finned disk layers the mixture over the previous loadings. Air is introduced at the bottom of the reactor. The temperature is maintained at 55°C for a minimum of three consecutive days. The bottom layer is removed from the reactor after 15 day of detention time and transferred to the top of the second reactor for curing. After 15 days of curing, the compost is stored in rows on a paved concrete surface for two to three months. The compost from the facility meets the class A requirements and is distributed to the public. Figure 7.22 View of screened compost. Chernova, N. M. (1966), Zoological Characteristics of Compost, Academy of Science, Nauka, Moscow. Chertes, K., Aukaev, R., Turovskiy, I., Lubavsky, V., Dokudovska, S., Borisov, V., and Kuricov, A. (1988), Instruction for Composting Wastewater Sludge in Petrozavodsk, Water Supply and Sanitary Technology, Vol. 5, p. 4. Ettlich, W., and Lewis, A. 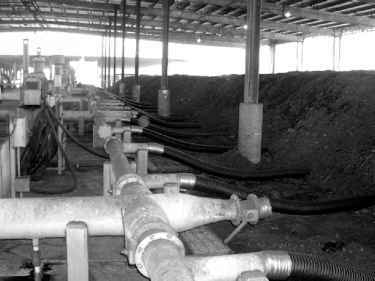 (1977), A Study of Forced Aeration Composting of Wastewater Sludge, No. 11, U.S. EPA, Cincinnati, OH. Foess, G. M., and Singer, R. B. (1993), Pathogen/Vector Attraction Reduction Requirement of the Sludge Rules," Water Engineering and Management, June, p. 25. Harkness, G. E., Reed, C. C., Voss, C. J., and Kunihiro, C. I. (1994), Composting in the Magic Kingdom, Water Environment and Technology, Vol. 6, No. 8. Haug, R. T. (1993), The Practical Handbook of Compost Engineering, Lewis Publishers, Boca Raton, FL. Kulik, A. (1996), Europe Cultivates Organics Treatment, World Wastes, Vol. 39, No. 2, p. 37. Lue-Hing, C., Zenz, D. R., and Kuchenither, R. (Eds.) (1992), Water Quality Management Library, Vol. 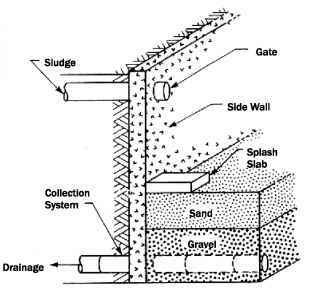 4, Municipal Sewage Sludge Management: Processing, Utilization and Disposal, Technomic Publishing Co., Lancaster, PA.
Murray, C. M., and Thompson, J. L. (1986), Strategies for Aerated Pile Systems, BioCycle, Vol. 6. Outwater, A. B. (1994), Reuse of Sludge and Minor Wastewater Residuals, CRC Press/Lewis Publishers, Boca Raton, FL. Poincelot, R. P. (1977), The Biochemistry of Composting, Proceedings of the National Conference on Composting on Municipal Residues and Sludges, Information Transfer, Inc., Rockville, MD. Sicora, L. G., Wilson, G. B., Colacicco, D., and Parr, G. E. (1981), Material Balance in Aerated Static Pile Composting, Journal of the Water Pollution Control Federation, Vol. 53, No. 12. Sommers, L. E. (1977), Chemical Composition of Sewage Sludges and Analysis of Their Potential Use as Fertilizers, Journal of Environmental Quality, No. 6, p. 225. Union Science Institute of the Wood Industry, Moscow. Composting, Water Engineering and Management, October, pp. 29-32. Wastewater Sludge, ZBTI Ministry of Water Management, Moscow. Federal Register 58 FR9248 to 9404. WEF (1995), Biosolids Composting, Water Environment Federation, Alexandria, VA.
Wilson, G. (1983), Forced Aeration Composting, Water Science and Technology, Vol. 15, No. 1.